Adam and I had a great football weekend! Our team advanced and we're one step away from playing in the big game, so we've been planning out how we want to celebrate when we host our very own Super Bowl party! 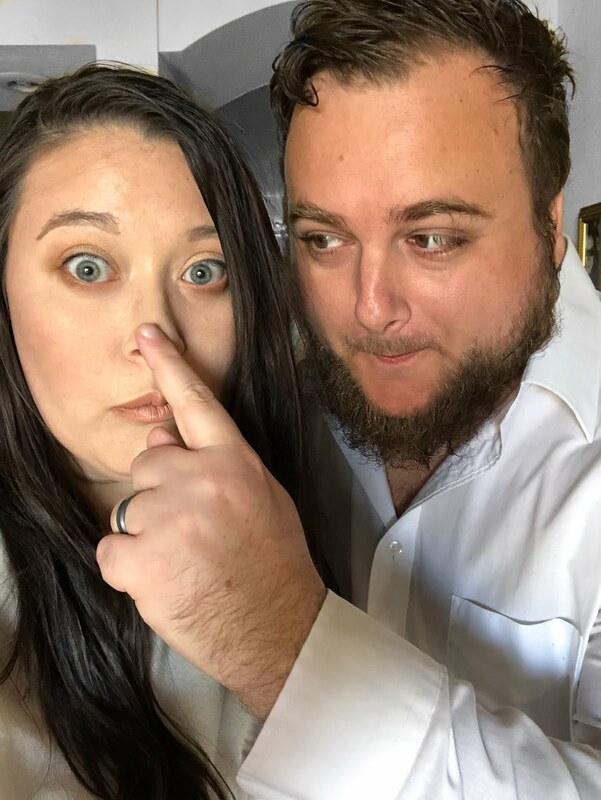 Today, I'm sharing a detailed party plan idea that I have had for a while. All of my favorite game day parties I have attended have all had one thing in common: competitive spirit. Nothing is a bigger bummer than heading out to a game viewing party to only find that the people who are at the party do not care which team wins. I've always been a competitive person (Adam is too), so when I am watching a game I'm always rooting for somebody. I have had the idea of hosting a "Victory Never Tasted So Sweet" Game Day Football Party for a while, and once I finalized all of the projects I wanted to do I started working on it. 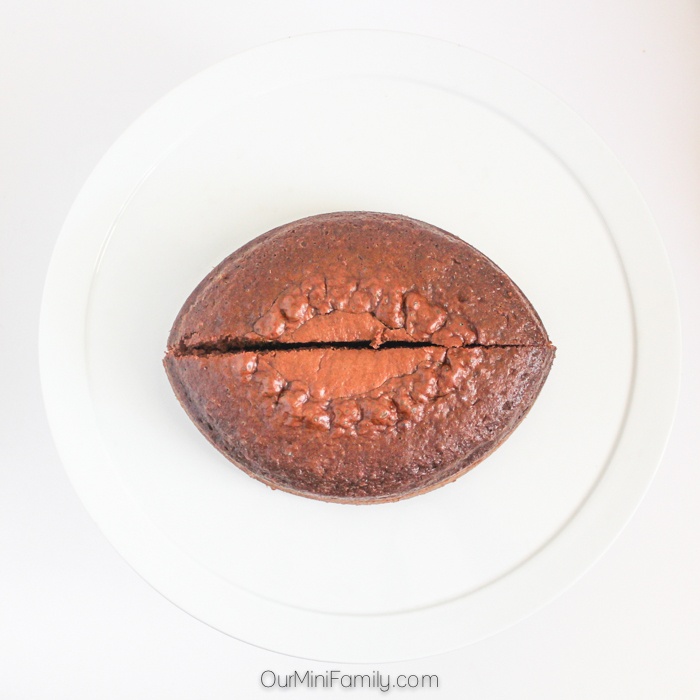 Below you'll find all of the detailed step-by-step instructions and pictures walking you through how to host this fun football party! In a large mixing bowl, combine your flour with your baking powder, baking soda, and salt. Mix well. Add in the sugar with the butter, and beat it into the dry flour mixture. If you're using a mixer, beat ingredients on medium-high speed for about 1 minute (or if by hand, mix for 2-3 minutes). Crack in your egg whites, pour in your buttermilk, and add in your vanilla pudding. Mix well for about 3-4 minutes by hand (or 2 minutes on medium high if using a mixer). Once the batter is evenly mixed, add in your vanilla extract and continue to mix well. 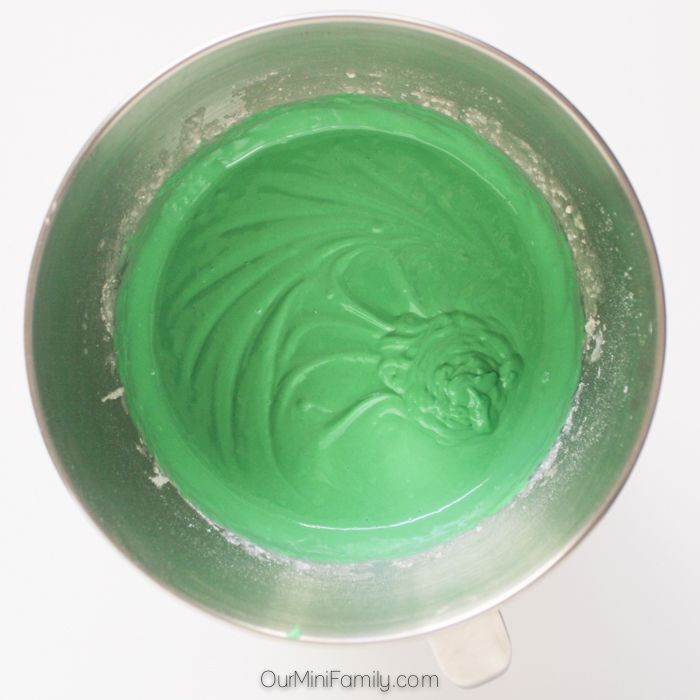 Add in your green food coloring. 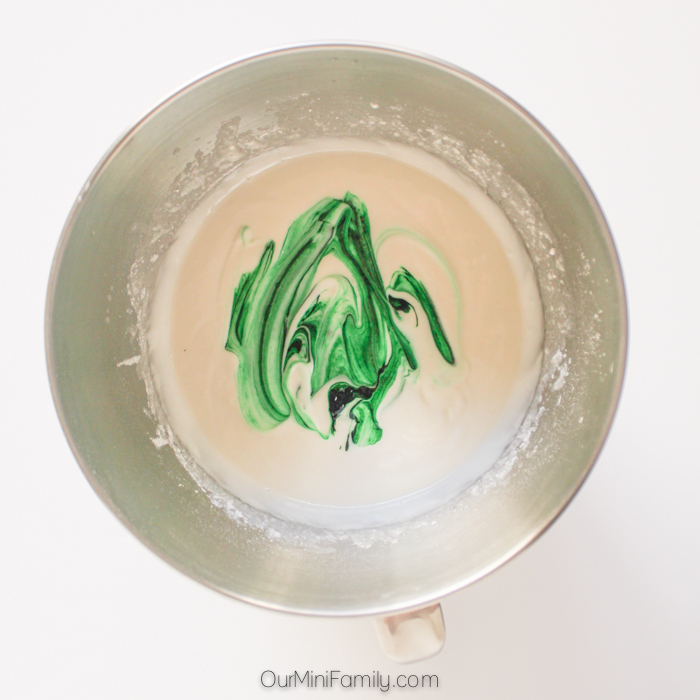 Mix until the coloring is spread through the batter evenly. Pour your batter into your cupcake tins about 1/2 the way. 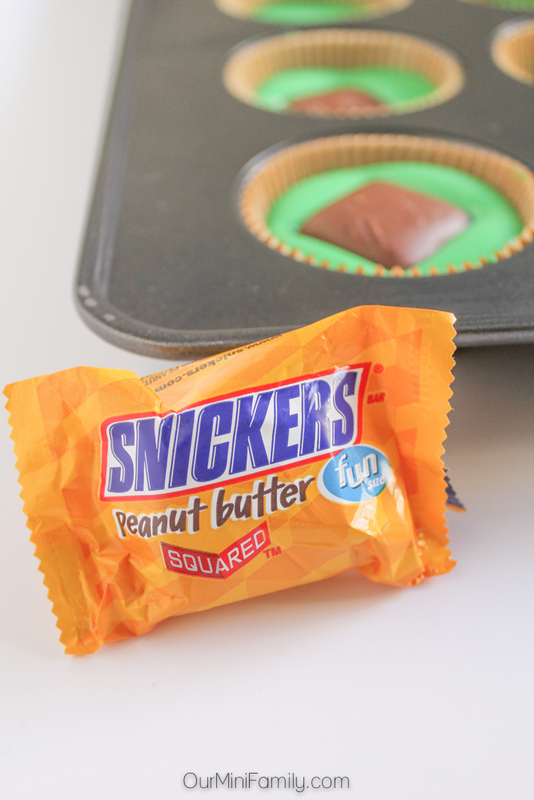 Place a SNICKERS® Peanut Butter Fun Size® in the center of each cupcake. Gently press down to allow the cupcake batter to form around it. Bake in the oven at 350 degrees (F) for about 18-20 minutes. 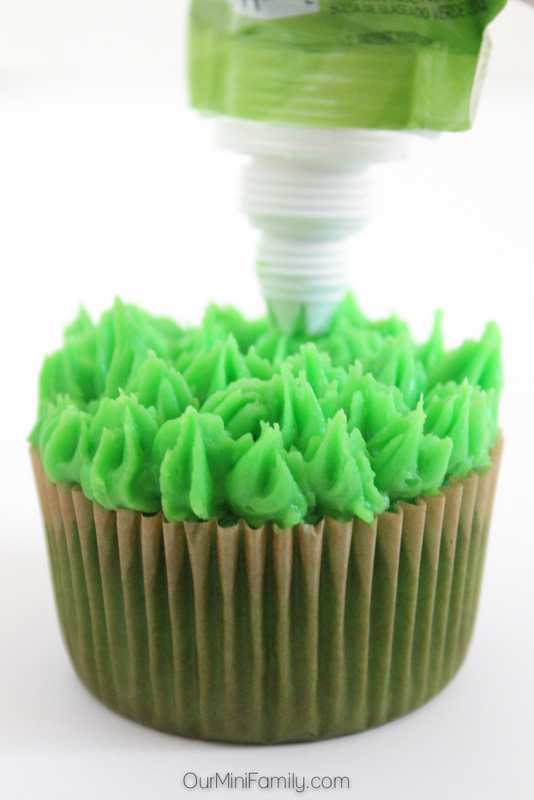 Once the cupcakes have cooled completely, begin frosting with green frosting/icing using a piping bag and a star-shaped tip. The star shape will give them that football field grass look. 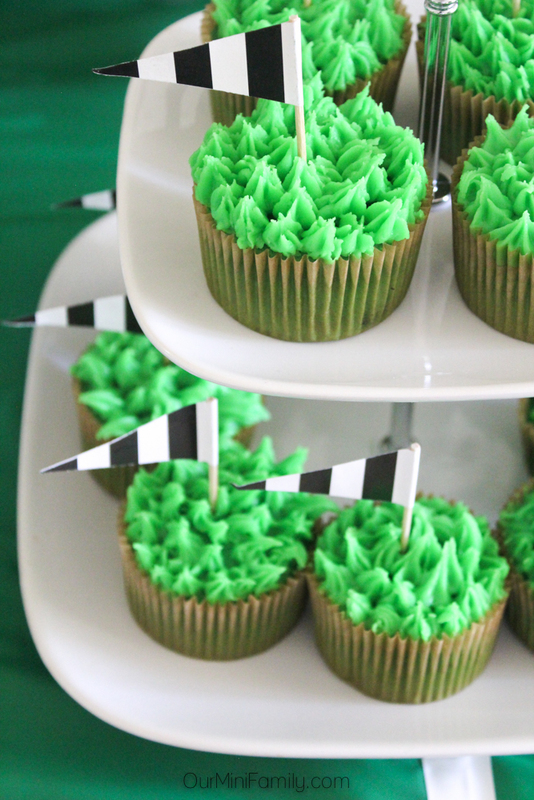 If you have any fun, football-themed cupcake toppers, finish your cupcakes by decorating them and serve immediately. Enjoy! Pre-heat the oven 350 degrees (F). In a large bowl, combine flour with cocoa powder, baking powder, baking soda, and salt. Mix well. Add in the sugar with the pudding, and beat it into the dry flour mixture. If you're using a mixer, beat ingredients on medium-high speed for about 1 minute (or if by hand, mix for 2-3 minutes). Crack in your egg, pour in your milk, water, oil, and add in your vanilla extract. Mix well for about 3-4 minutes by hand (or 2 minutes on medium high if using a mixer). Once the batter is completely mixed well, pour the batter into a greased, round cake pan. Bake in the oven at 350 degrees (F) for 30-35 minutes. Check doneness of cake by inserting a toothpick into the center--if it comes out clean, the cake is fully baked. Remove the cake from the oven and let it cool for 2-3 hours. You may speed up this process by placing the cake into your refrigerator. 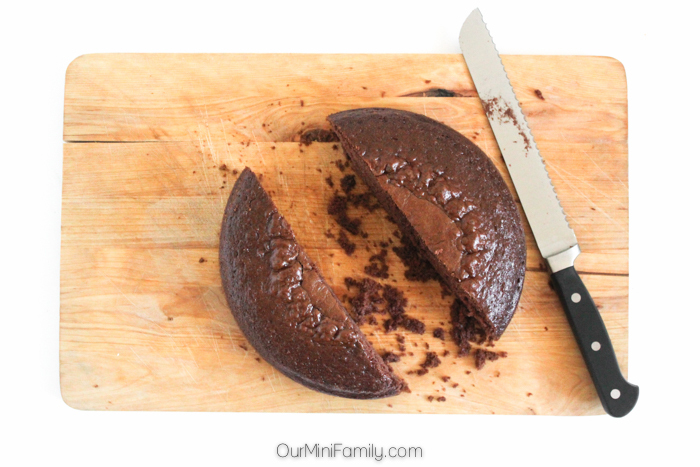 Once the cake is completely cool to the touch, carefully remove the cake from the cake pan. Using a bread knife, carve out 3 pieces from the center of the cake that are about 1/2-3/4 inch wide (see images below for more guidance). 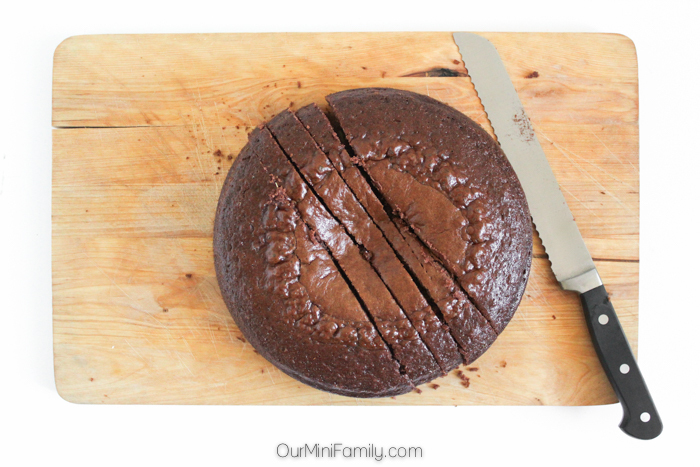 Remove the trimmed cake pieces from the middle of the cake and set aside. Now, you should have two separate halves of the cake that are in a semi-circle shape. 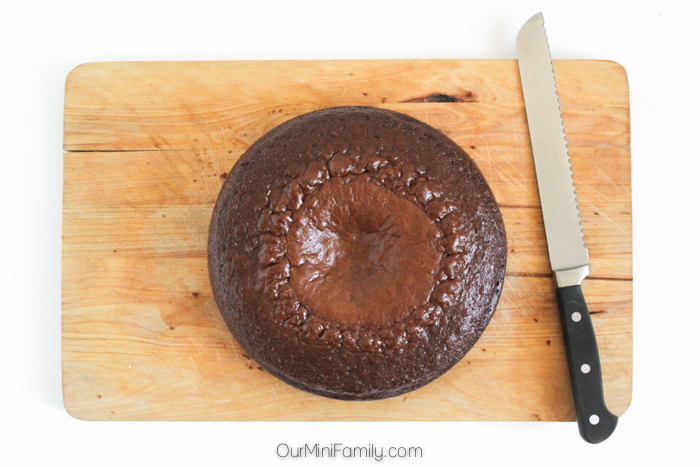 Carefully push the two pieces of cake together to form an oval shape (which we'll decorate to look like a football). 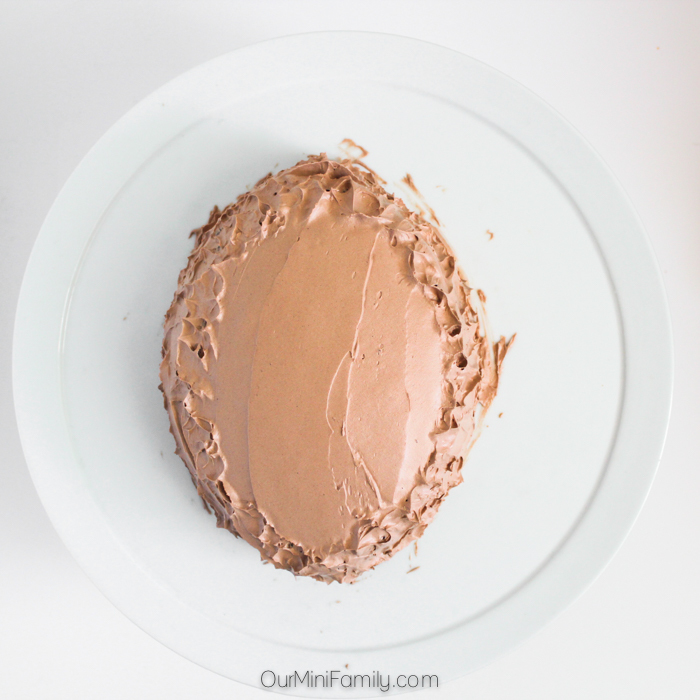 Using whipped frosting, completely cover the two halves of the cake. Place the cake in the refrigerator for 30 minutes to allow the frosting to harden (and stiffen the two halves of cake together). Remove the cake from the refrigerator when you're almost ready to serve, and begin decorating the cake. Using a large zipper freezer bag, pour in about 2 cups of shredded coconut and green food coloring. Close bag completely and then shake the bag for about 1 minute (or until the green food coloring has completely covered the coconut). Sprinkle the colored coconut grass around the football cake. Place one, brown M&M's® Milk Chocolate every inch or so around the edge of the cake to create a decorative border. Finally, using plain white icing, draw on the stitching of the football. Start by making one long line (lengthwise) in the center of the cake, and then pipe on 8 short lines along the length of the first line (see pictures below for more guidance). Pour about 3/4 cup of yogurt into a large glass. 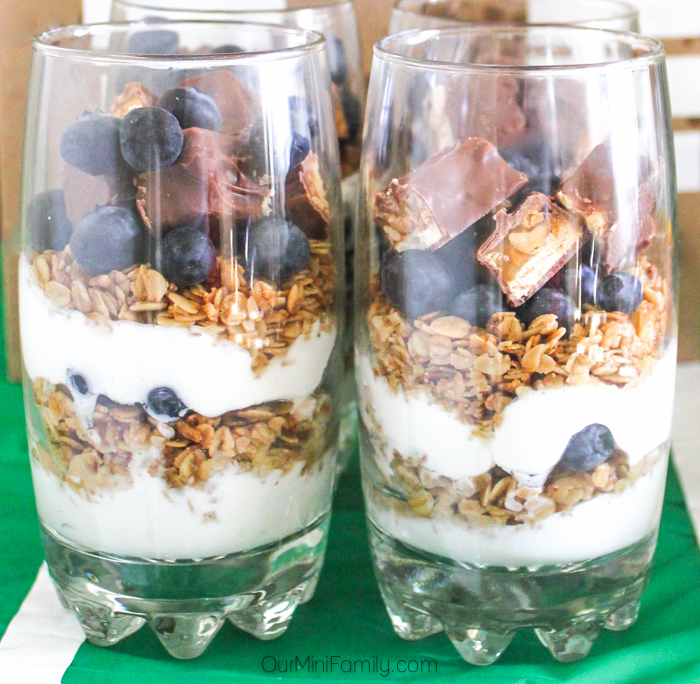 Top with 1/4 cup of granola. Sprinkle in a few blueberries. Pour in another 3/4 cup of yogurt, top with another 1/4 cup of granola. 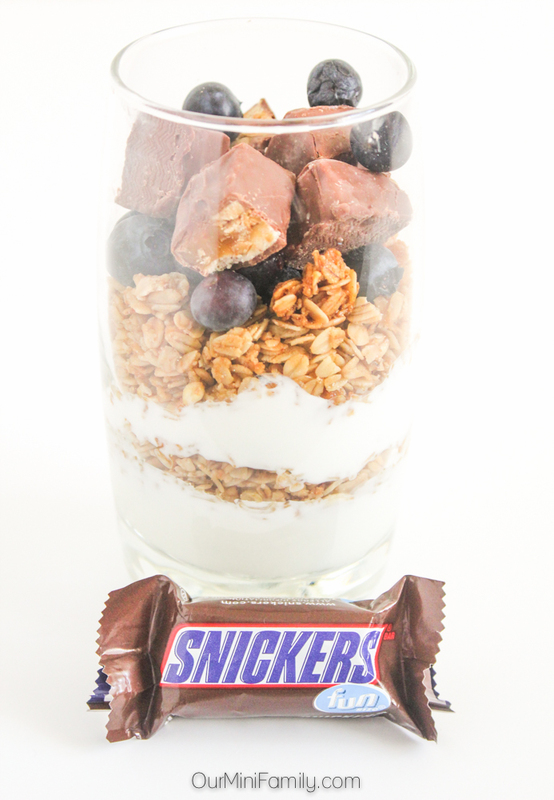 Sprinkle a few more blueberries on top, then top with a few pieces of chopped SNICKERS® Original Fun Size®. Keep parfait chilled until you're ready to serve. Enjoy! 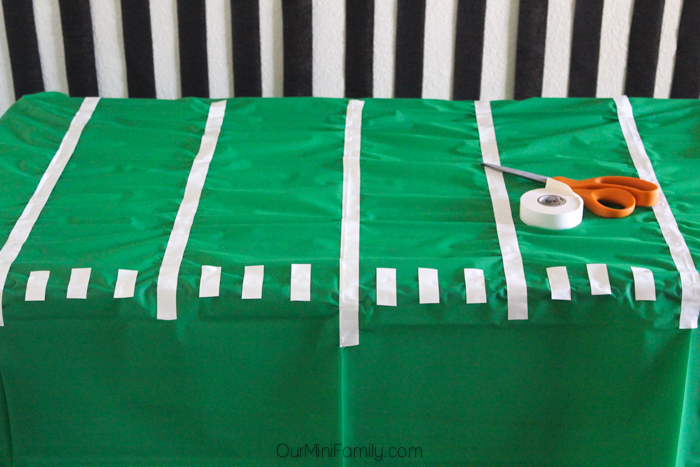 This DIY Football Field Tablecloth is so easy to make, and the supplies are very affordable. Plus, it looks great in front of black streamers on the wall--it gives that football game feel to it between the grass field and the black streamers on the white wall (to resemble the referee jerseys). 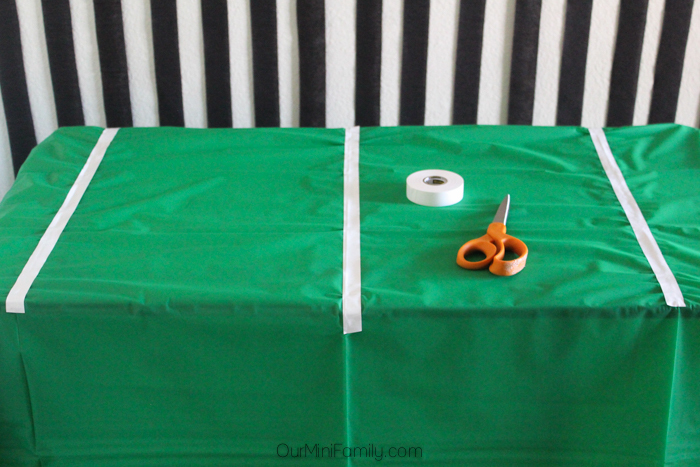 To make our DIY Football Field Tablecloth, we used: a plain green tablecloth, white electrical tape, and scissors. I used the creases in our store-bought tablecloth to help guide me when placing my electrical tape down--starting at the middle of the table, line the middle crease with electrical tape that is just over the length of the table. Repeat this step with the two lines on each side of the middle crease. Then, build a line in-between each section (creating 5 total lines). Cut about 3 pieces of electrical tape per section of the field (about 2-3 inches long). Place these three pieces of shorter tape on the edges of each side to emulate the look of the sideline hash marks. Repeat this process until each section has the same amount of hash marks on each side of the table (front and back). This tablecloth cost under $8 to make. 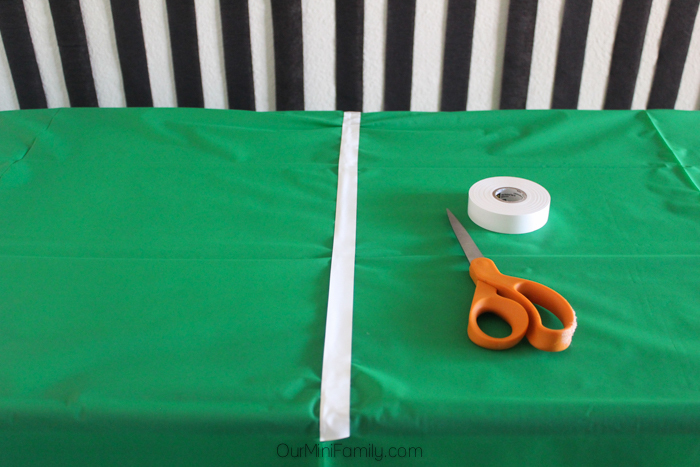 If you're looking for an economical, Super Bowl party DIY that will not take you a long time (or require much creativity), this tablecloth tutorial is a great choice. 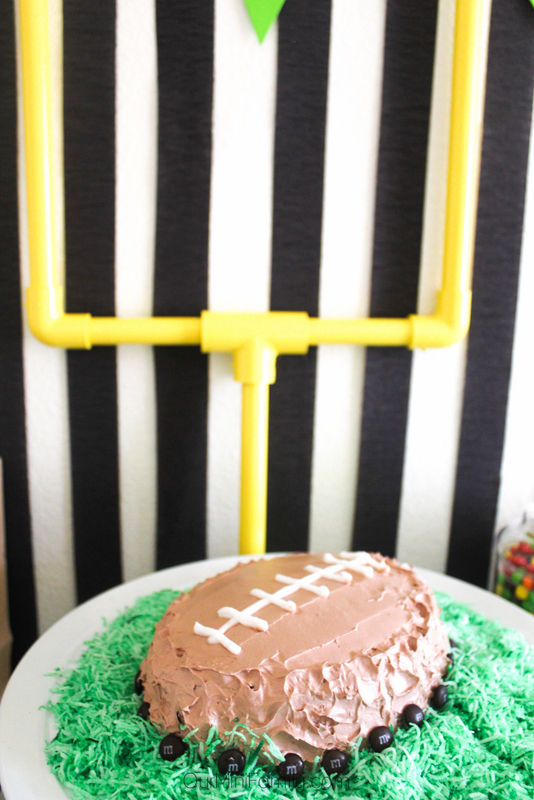 No football party is complete without a field goal decoration! This tutorial is perfect for your Super Bowl party, or any football-themed get-togethers for that matter. 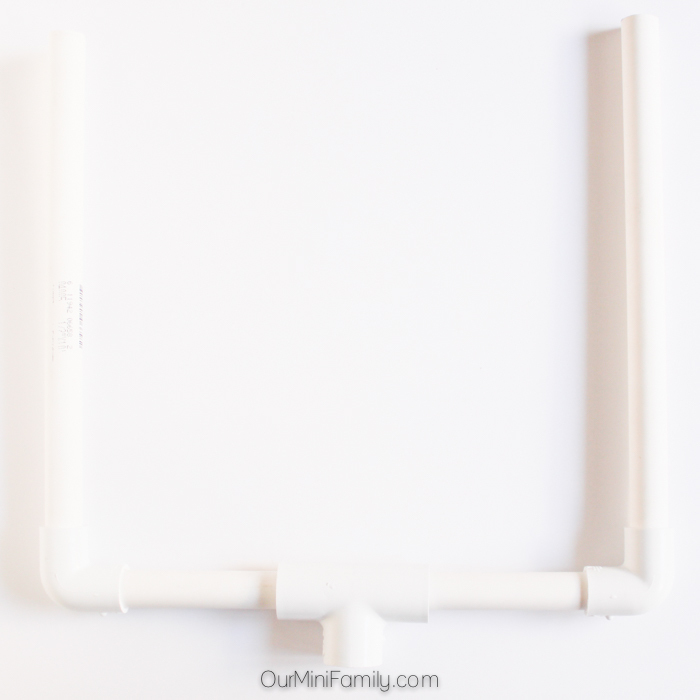 To make our DIY Field Goal Table Centerpiece, we used: yellow spray paint, 4 pieces of 2-foot PVC pipe, 2 pieces of 90-degree elbow pipe, 1 piece of Tee pipe, and glue. First, I started by attaching two pieces of pipe together with one elbow attachment. 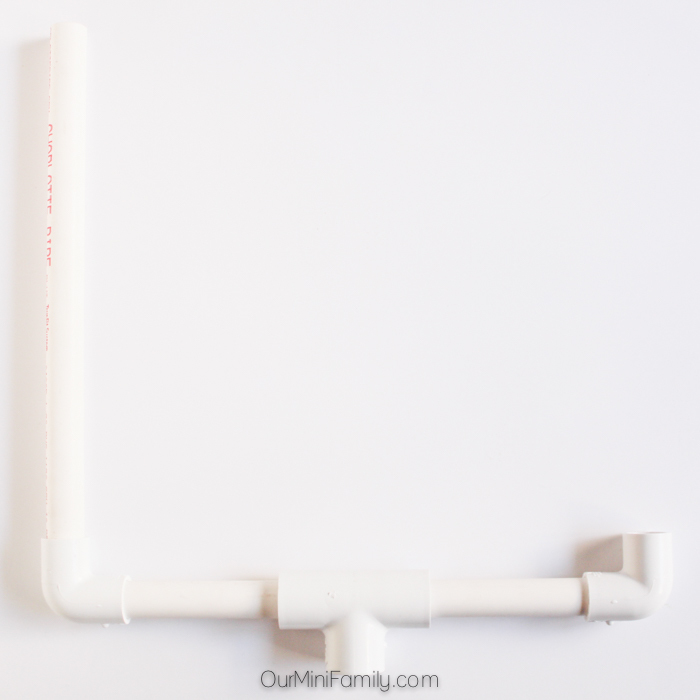 Then, I slid the Tee pipe attachment onto one side of the PVC pipe. With a little bit of glue, I ensured that the Tee pipe would not slide from side to side. 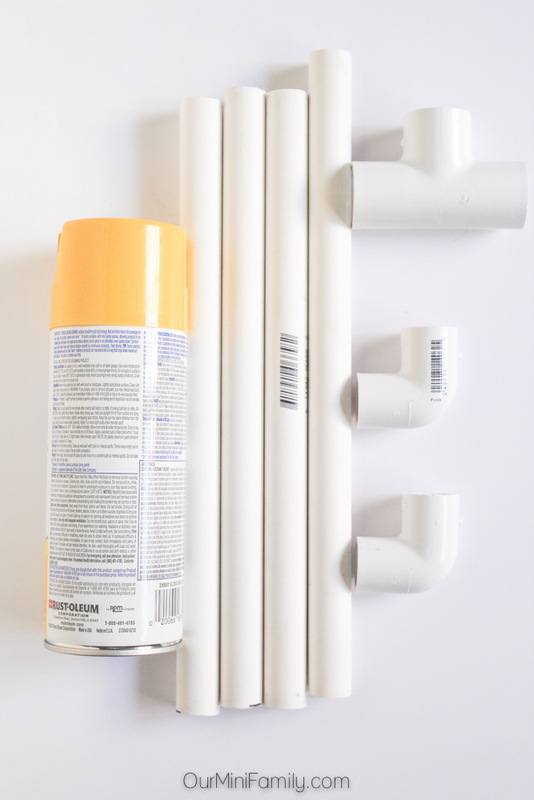 On that same side of the PVC pipe, I then attached another elbow on the end and ensured that both elbows were facing the same way (facing up). Next, I attached another piece of pipe so that the whole apparatus was making something like a "U" shape. Finally, I attached the last PVC pipe to the bottom. Once I was happy with my field goal shape, I took the PVC apparatus outside and covered it with yellow spray paint (it took about 3-4 hours to let it completely dry, but if there is more moisture where you live I recommend leaving it to dry overnight). This field goal decoration really completed the look of our Super Bowl party table. It brought together the look of our DIY field tablecloth, as well as the black streamer backdrop that emulates the look of the referees on the field. If you're planning on serving any snacks at your Super Bowl party, one really affordable and easy DIY to include in your party planning is making Football Snack Bags! 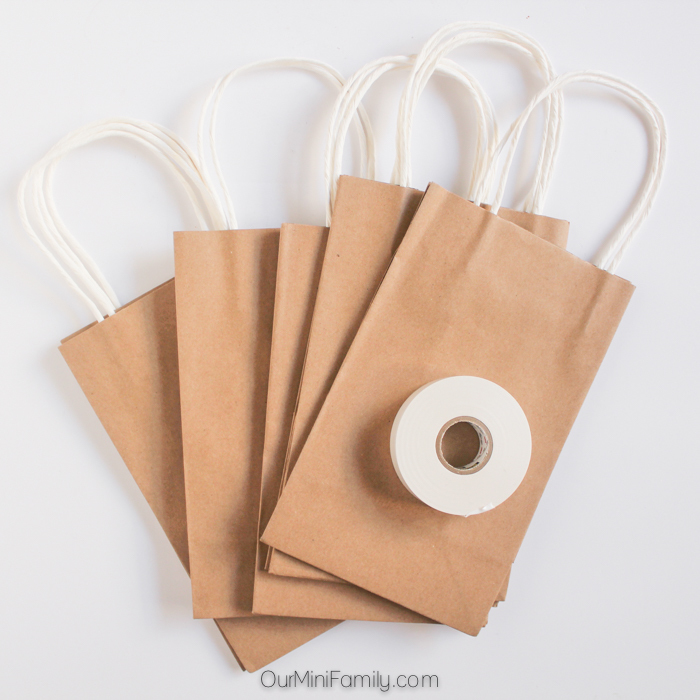 These regular, brown paper bags can be transformed into football party grab bags with a little bit of white tape! 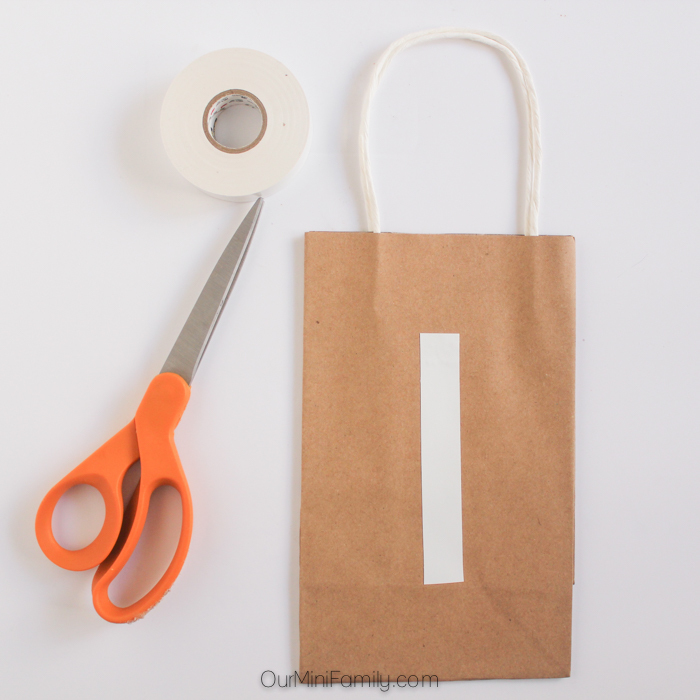 To make our Football Snack Bags, we used: brown paper bags, white electrical tape, and scissors. 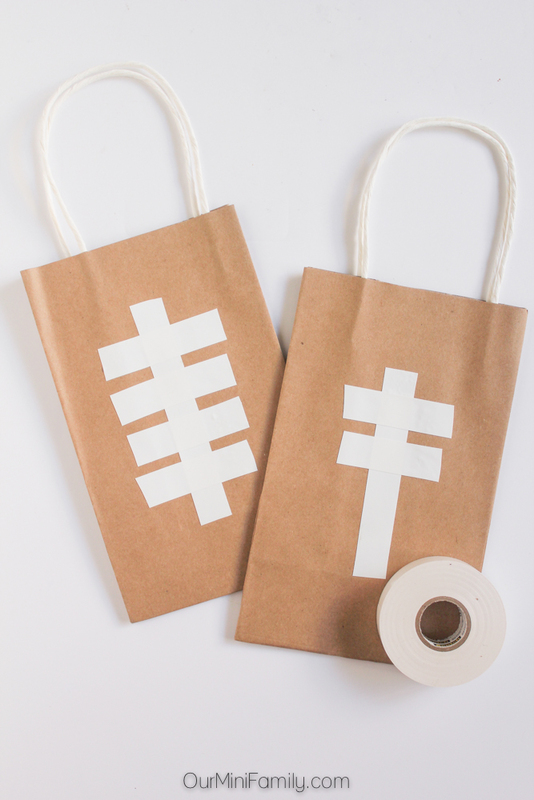 Trim one long piece of white tape to start the look of your football stitching on your bag. 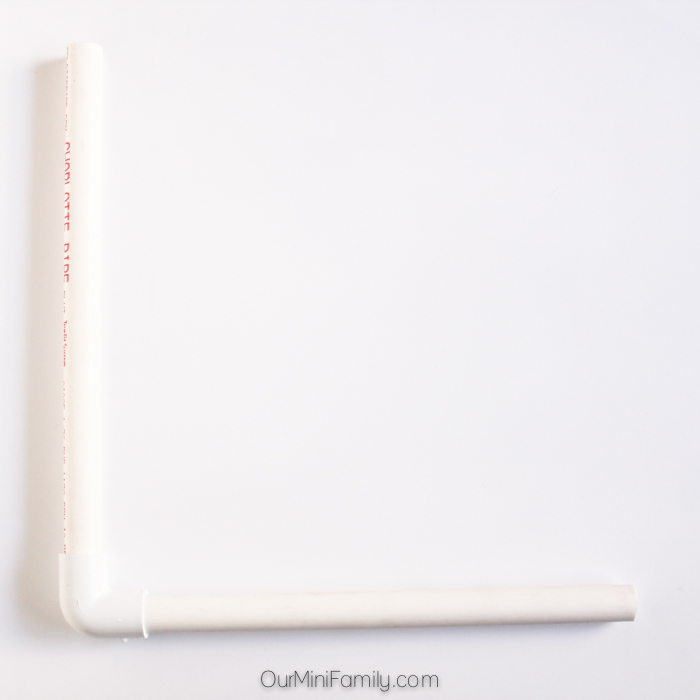 Then, layer shorter pieces of white tape on top of the long piece of tape going lengthwise. Try to cut the pieces of tape about the same length, and try to place them about the same space apart from each other. 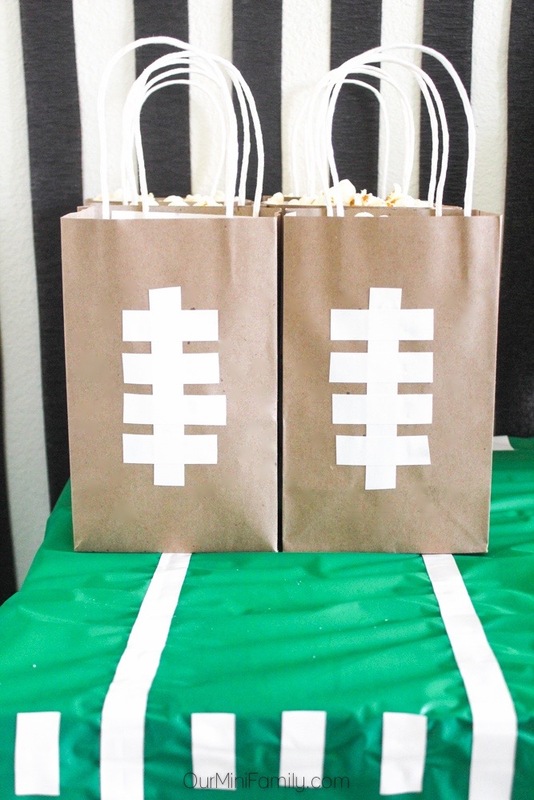 Football Snack Bags are a great way to bring home the football party theme! 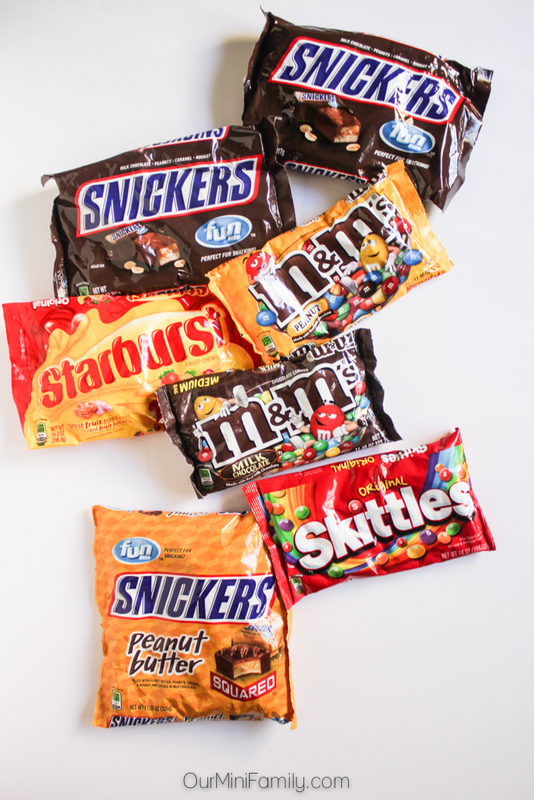 Like the rest of these tutorials I've mentioned in this party plan, these snack bags are affordable to make for your party (just under $10 for 20 bags). 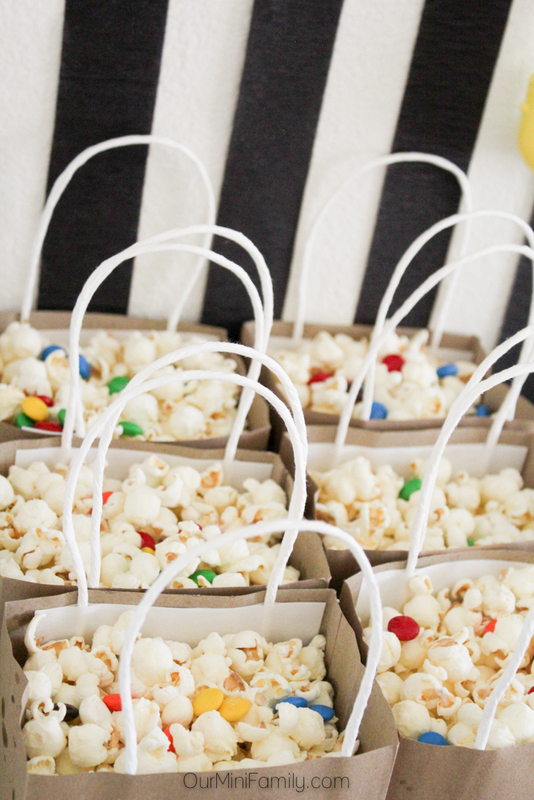 We filled our snack bags with white cheddar popcorn and M&M's® Milk Chocolate! It's such a winning combo! To bring the whole "Victory Never Tasted So Sweet" Game Day Football Party theme together, I thought it would be fun to customize my own banner. 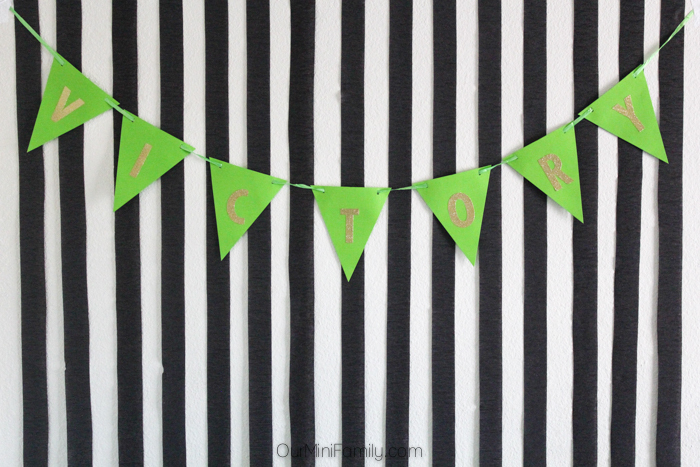 I placed this banner I made on top of my black streamers to give a little pop of color--you gotta have green colors if you're hosting a Super Bowl party or football party! 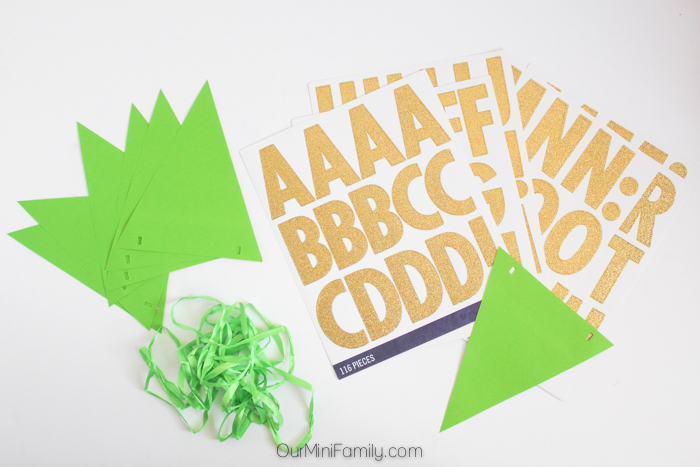 To make our "Victory" Party Banner, we used: green scrapbook paper, a hole punch, green ribbon, scissors, and golden letter stickers. First, I cut the green scrapbook paper into triangles. Then, I used a hole punch and created a hole at the bottom of the triangle on each side. Next, I ran the ribbon through the holes of the triangles. Finally, I used my golden letter stickers to spell out the word "victory," and then hung up my banner on the wall. 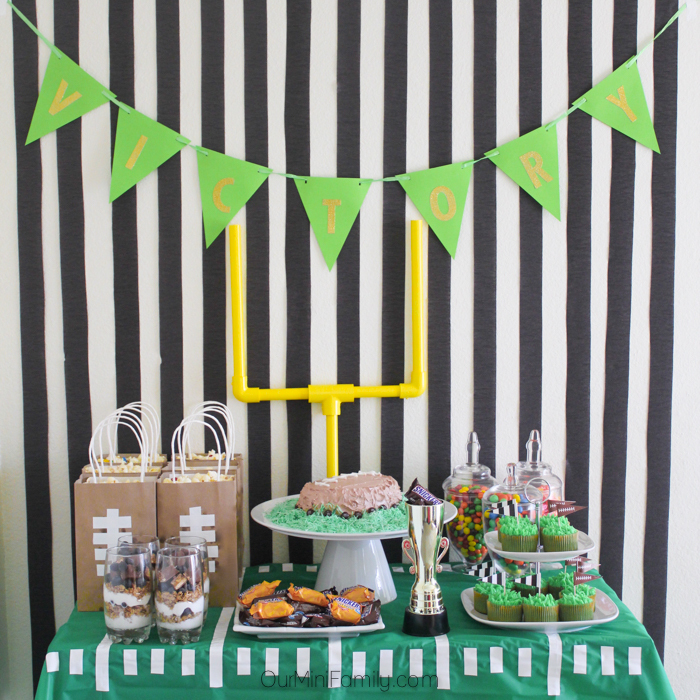 Our Super Bowl party setup would look incomplete without this paper banner--it brings a fresh pop of green color and really ties the whole tablescape together. When I initially went shopping for my "Victory Never Tasted So Sweet" Game Day Football Party, I headed down to our local Target to pick up some of our favorite game day candies: SNICKERS® Original Fun Size®, M&M's® Peanut, Starburst®, M&M's® Milk Chocolate, Skittles®, and SNICKERS® Peanut Butter Fun Size®. Want to save on your next trip to Target? Click here to check out the Target Cartwheel Collection Offer for Super Snacks running from now through 2/6/16! 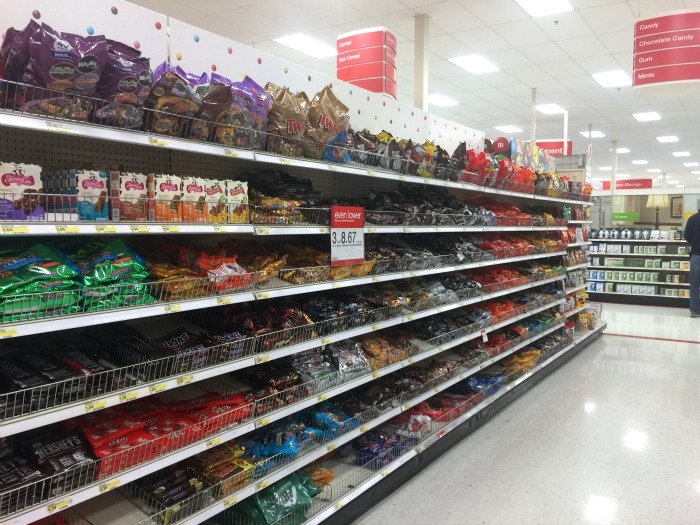 Be sure to grab some candy at Target--SNICKERS® is an official sponsor of Super Bowl 50, so you won't want to forget the ideal game day candy! Want more game day inspiration? 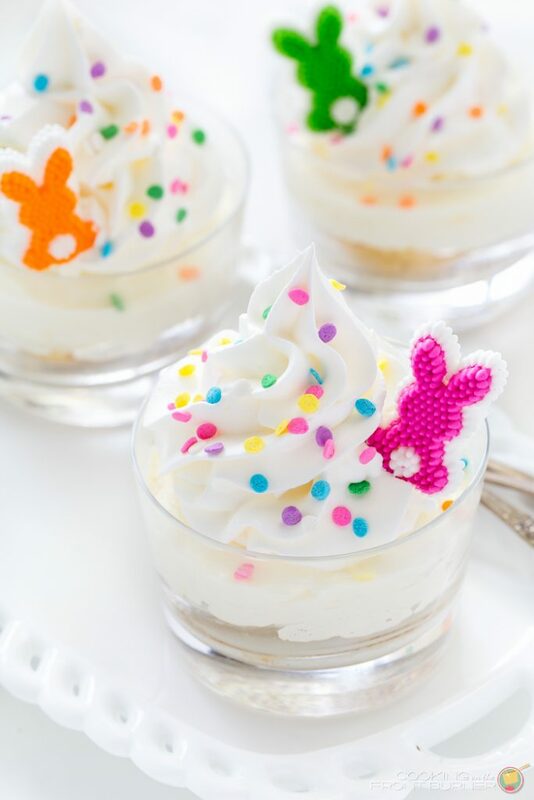 Click here to head to Targetyoursweettooth.com for more ideas! 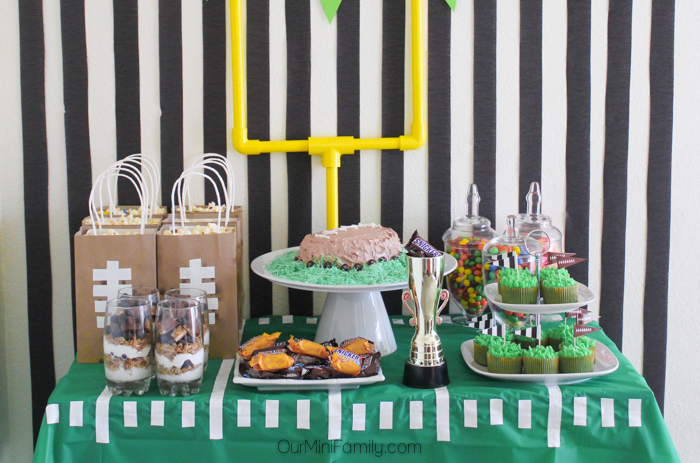 This is a great collection of football party ideas! So many great ideas! Love the goal post. The goal post is Adam's favorite, too! 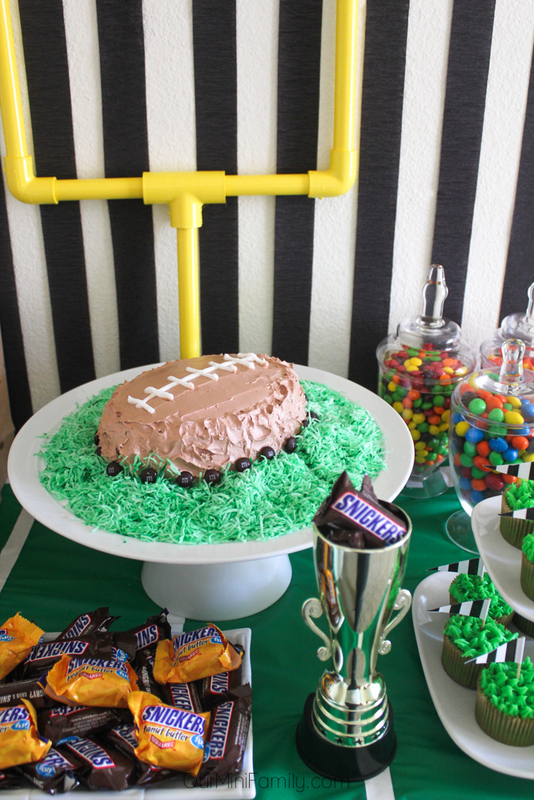 Such cute party ideas for the big game! Such a cool setup! 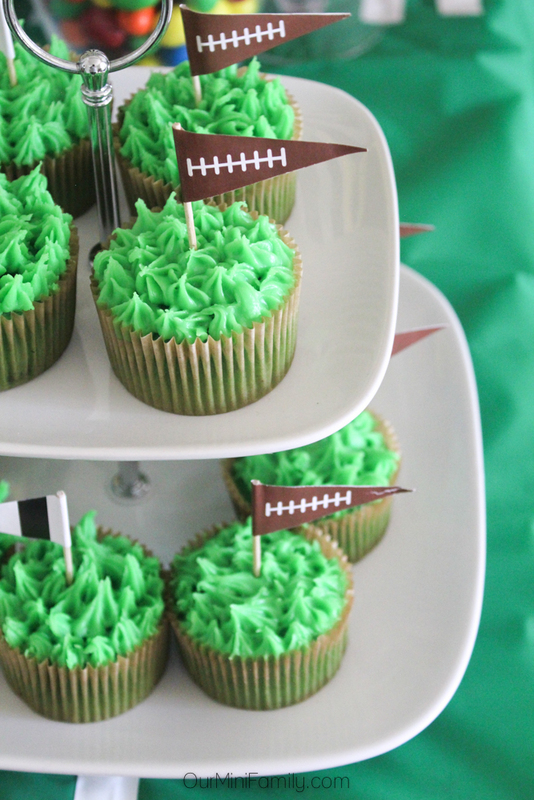 And those football field cupcakes are adorable, and I bet yummy! Wow! You did an awesome job! I'm loving all these super bowl posts. I'm getting some fantastic ideas. Thanks for sharing! My pleasure! Glad you loved it! WOW girl!!! What an awesome party table you got there! love every detail of it and the cake, clever!!!! Love this! You totally nailed it!! Loved the cupcakes! My favorite though was the tablecloth and your field goal posts. Such a great idea! Oh and the cake without a cake pan is awesome too. This is such a great set up, and I want to bite into one of those cupcakes right now! I love how it turned out! I especially love the referee striped wall! I love your attention to detail!